Ireland has defeated Great Britain by fifteen points, in Round 3 of the 2017 International Cup. 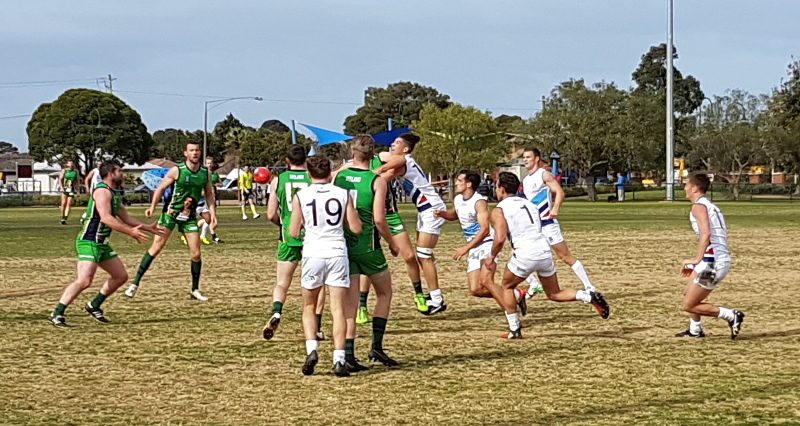 Round 3 was themed Community Round and Great Britain vs Ireland took place at Koornang Park, Carnegie, home of the Caulfield Bears. 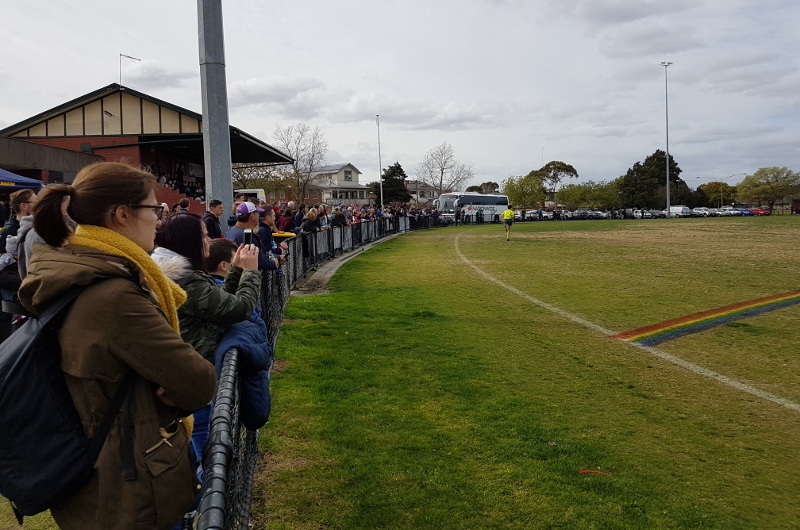 The match was wedged between Caulfield’s Seniors and Reserves, and they were happy hosts, running out winners against Springvale Districts in both their matches. Ireland was undefeated going into this match. They narrowly won against PNG, before comprehensively defeating France. Great Britain sat equal wins and losses, upsetting South Africa, but falling to Canada. The first quarter kicked off slightly behind schedule. Ireland was first to register a score, albeit a behind. It would be a frustrating first part of the quarter for Ireland, who controlled the ball and had several shots on goal, however a goal eluded them. It took seven minor scores, before they registered a major. Great Britain managed a few Inside 50s but could not register a score. Ireland were less physical, but moved the ball very quickly and led by 27 points at the first break. The second quarter commenced much like the first finished, with Ireland scoring inside the first minute, although again it was a behind. But the breeze was now favouring the Brits who would dominate the quarter, adding five majors. They looked far more composed, their tackling increased, and they scored from set shots and on the run (in one instance, shimmying around an opponent). Great Britain led by two points at the main break. 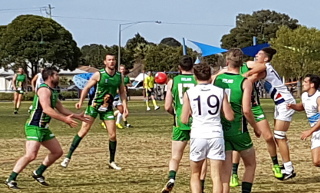 Ireland had the first clearance of the third quarter, and were again kicking with the breeze, but multiple Inside 50s only resulted in a single minor score. Play was stopped for a few minutes following a heavy hit as Great Britain continued to tackle ferociously. But it was an Irish tackle close to goals that resulted in a free kick for dropping the ball, which gave them momentum. Ireland converted and kicked four more for the quarter to lead by 29 at the final break, the biggest margin of the match. Great Britain opened the final quarter strongly, although accuracy was lacking. They had three shots on goal early, yet reduced the margin by only eight points. A sloppy push in the back gave Ireland a shot on goal, which was kicked truly to the applause of the crowd, putting the margin beyond reach. Great Britain kicked three more goals for the match, but Ireland would run out fifteen point winners. Goals: (GB) Walkden 6, Hastie 2 (Ire) Lucey 3, Finn 2, O'Dheashmunaigh, Nannery, O'Connell, Burns. Best: (GB) Watson, Denton, Walkden, Hastie, Mudson, Booth (Ire) O'Dheashmunaigh, Finn, Burns, Murray, Fogarty, O'Connell.